Sweet and sour make a good team for your takeout order—not your teeth. When beverages high in sugar and/or acidity touch your teeth, bacteria is left behind to cook up cavities, enamel erosion, and other dental issues. Even if you never drink soda, acid can hide in healthy places like sparkling water and Kombucha. Straws act as a teeth tunnel, limiting liquid contact. For optimal protection, make sure to position your straw toward the back of your mouth. Dark drinks can create surface stains, dulling the shade of your smile. Sip through a straw to prevent surface stains on those all-important front teeth. So even if you take your coffee black, your smile can stay pearly white. The modern drinking straw was invented to get cold drinks past sensitive teeth. And its original use still holds true today. Tooth enamel can wear away, causing exposed dentin. That exposed dentin is sensitive to icy shakes and piping hot chocolate. And dentin makes your smile super sensitive to pain—especially temperature. A milkshake is more fun to drink out of a straw, and it protects your teeth from that freezing cold frothy goodness. In the meantime, sensitivity sufferers can try these tips. The environment draws the short straw with wasteful plastic versions. When grasping at straws, pick an eco-friendly option. Reusable, BPA-free versions come in materials like acrylic and glass. 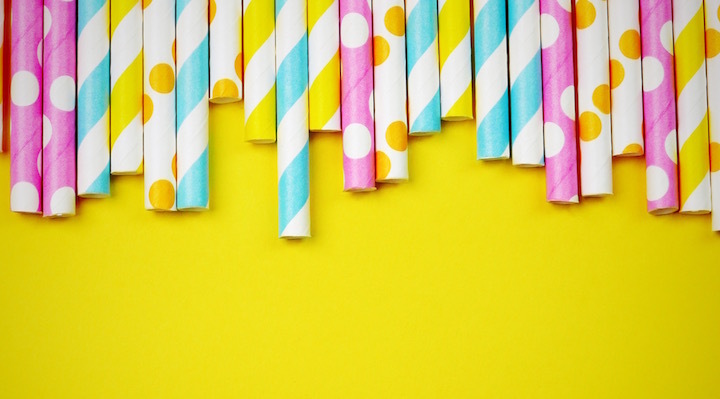 Recyclable paper straws are making a comeback too. And, hay—there’s even a straw made out of straw.